The long-awaited removal of the shops opposite Reading station was heralded as a huge step forward in improving a dire part of the town. 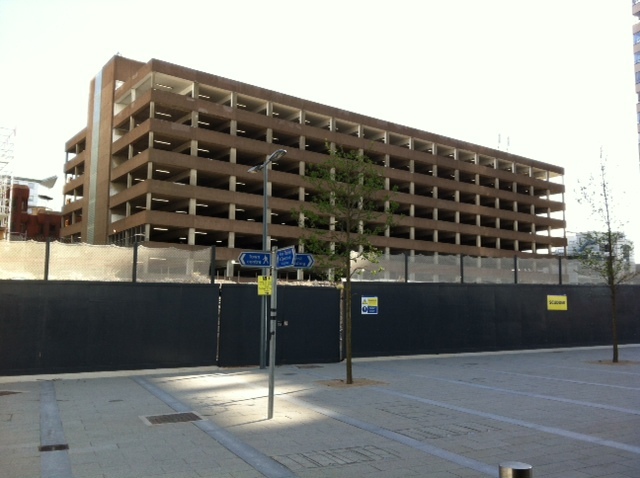 But in reality the result is that instead of some plain 1960s shop units, the first view of Reading for visitors’ coming out of the new station is…Garrard Street car park. And with no immediate prospect of anything substantial happening here, the problem of this gateway site is going to drag on for years. Yet all around developers are ploughing money into offices which are still to attract any big lettings. But if there is one thing that a developer will do well out of at this location it’s flats. With Swan Heights turned down recently, there must be an appetite for a residential scheme here. And whether that will look any better than Western Tower has done for the last 40+ years is surely doubtful.